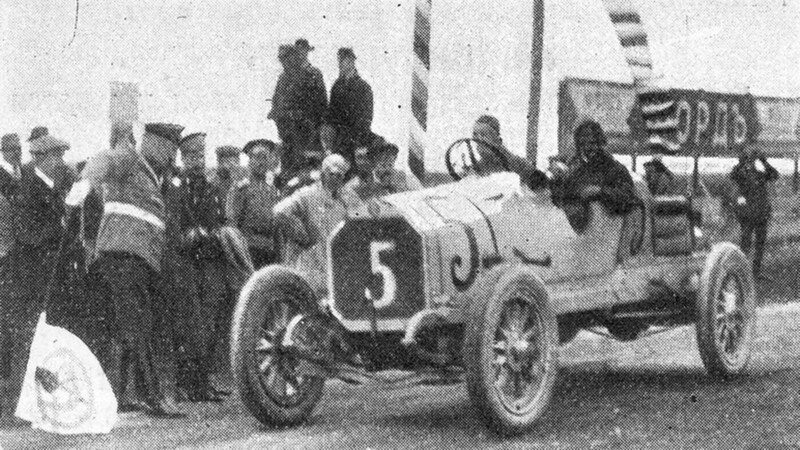 Russian racer Ivanov Ivanov at the start of the Grand Prix of Russia in 1913 driving Russo-Balt car. What Russian doesn’t like to drive fast? As soon as cars started to appear on Russian roads, amateur enthusiasts didn’t need much time before they organized the first races. Today, car racing is an internationally recognized sport, but few people are aware of its glorious history and that Russia was in the forefront of this dangerous but exhilarating competitive endeavor. The sport’s early days in Russia began in 1898 when the first races took place just outside of St. Petersburg. In 1902, the country’s first and most influential automobile association, the St. Petersburg Automobile Club (or “SPAK”), was founded. It promoted the automobile culture by holding races, exhibitions and cooperating with newspapers devoted to the auto industry. 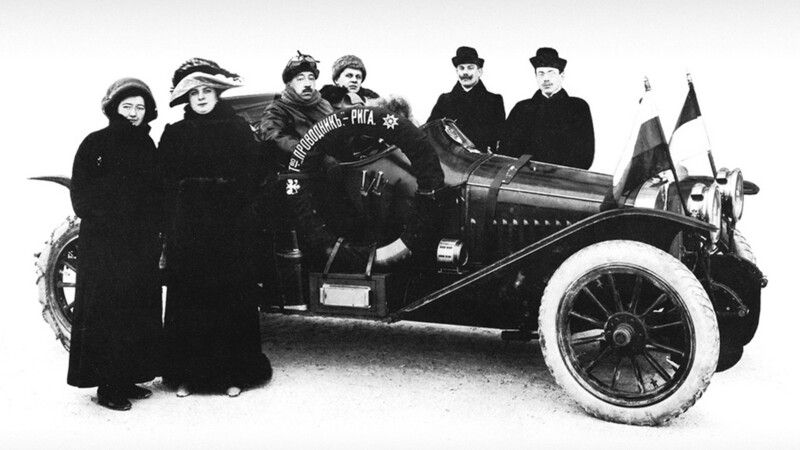 Andrei Nagel, the most famous automobile journalist and car racer in Imperial Russia, was one of SPAK’s founders. Some even referred to him as “a person eating distances and snacking on tires.” In 1902, he founded the first magazine devoted to the automobile industry in Russia and gave it the simple name, Automobile. “The idea to publish a specialized magazine in Russia where cars can be counted in the dozens might seem weird and unsuccessful,” Nagel admitted. Yet the magazine was distributed for free, and quickly gained an audience not only in Russia, but also in France and Germany. At that time, cars still were a rare sight in Russia, and the automobile industry was struggling to emerge in its own right. In 1902, only about 40 cars had been imported from abroad, and the public still treated them with much suspicion. “On June 23, 1912, I travelled by car from Moscow to Kharkov through the village of Afanasyevka in the Oboyansk region of the Kursk Governorate. Here, some people stood near the forge and one of them threw an axe at me … The axe hit the car hard and caused the iron parts of the car body to bend. If it had hit me or any of the passengers, the wound would have been fatal,” shared Nagel in one of his columns in Automobile, trying to show that since cars were a rare sight they were frowned upon because they frightened people! 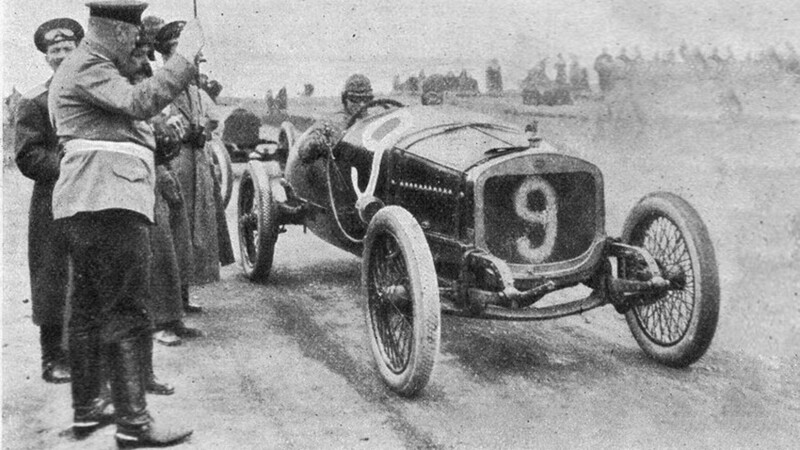 Andrei Nagel's Russo-Balt car at the 1912 rally Monte Carlo. With his crew, he made other long-distance journeys in his Russo-Balt car. One of the most memorable was a 1913 trip through Europe to Africa, traversing almost 20,000 kilometers. 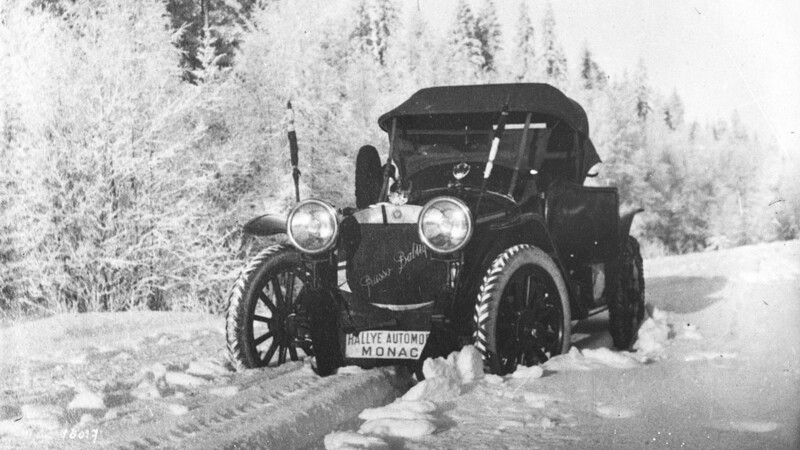 Andrei Nagel and his Russo-Balt car before the start of Monte Carlo rally in 1912. SPAK had its own premises on St. Petersburg’s main avenue, Nevsky Prospect, as well as its own service center where anyone could buy car parts and find an agent for selling cars and motorcycles. At the peak of its popularity in 1914, the club counted about 200 members, which is not that small given the fact that the number of car owners was quite limited at the time. Topping the club’s agenda was organizing car races, which often took place on Volkhonskoye Highway, southwest of St. Petersburg and which connected Tsarskoye Selo and Peterhof. The racing distance was just one kilometer, but each race was an important event, often attended by Imperial family members. The speeds at that time naturally weren’t great. In 1904, Russian racer Alexander Korovin reached a speed of 100 km/h, and it wasn’t until 1913 that German driver Franz Herner was the first to exceed 200 km/h. Apart from the races on Volkhonka there were long distance rallies. For instance, in 1910 a rally stretched 3,200 kilometers from Tsarskoye Selo to Pskov, Vitebsk, Mogilev, Kiev, Gomel, Roslavl, Moscow, Tver, Novgorod and then back to Tsarskoye Selo. Only drivers and vehicles who could prove that they could endure such a long trip could participate. Not surprising! The finish of Grigory Suvorin at 1913 Grand Prix. In 1913, the country saw the first serious race in St. Petersburg, consisting of seven laps, each 30 kilometers. 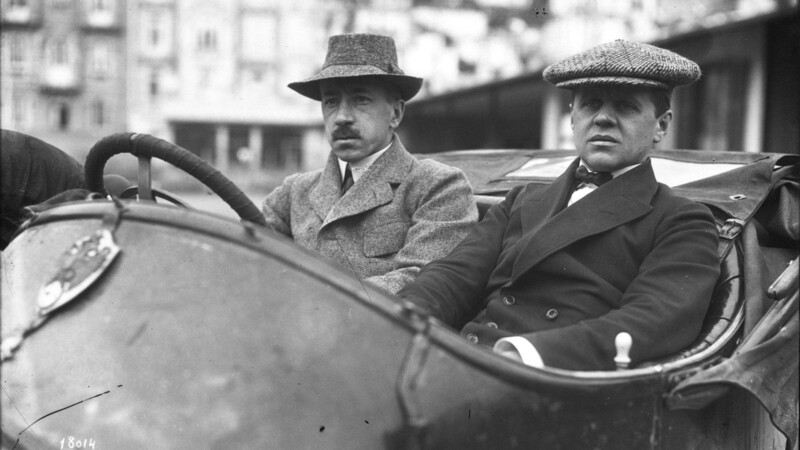 This was probably the first significant grand prix featuring 21 teams, of which only eight crossed the finish line. The winner was Grigory Suvorin, driving his Benz 29/60 hp that finished in 2 hours 23 minutes. The next grand prix took place a year later at the same place, but the timing wasn’t right. It coincided with a grand prix in France so the number of participants was much less than expected. Of the 15 crews only seven cars crossed the finish line. German driver Willie Scholl claimed first prize. “His Benz – a large, purely racing car – held the road well and impressively went past the seating tribunes,” wrote Automobile magazine about the winner. The grand prix, and other numerous races that were highly popular in Imperial Russia, earned international attention. But later on, with the start of World War I in 1914, racing practically ceased. The St. Petersburg Automobile Club refocused on providing vehicles to the Russian army. Then came the October Revolution, and it wasn’t until the 1930s when the sport got a new lease on life. That is a different story, however. Cars have always been a passion for Russian men. Just look at the bizarre vehicles that can be found in the country today. Wow! Quiz: How much do you know about Russia’s main security service?